Winnipeg/London | Reuters — Canada’s Nutrien, the world’s biggest potash miner by capacity, has helped engineer a surprising price rebound for the fertilizer by idling capacity. Now the trick will be keeping prices from appreciating too much to ensure a major would-be competitor, BHP Billiton, stays on the sidelines. BHP has been weighing an entry into potash since prices spiked a decade ago. 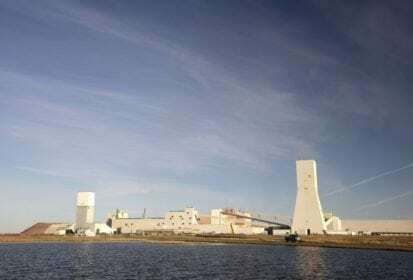 Construction of its Jansen mine in Saskatchewan — which could become the world’s largest — has been advancing slowly for years, but BHP has held off on committing the capital needed for completion, because of soft prices. A BHP entry would create stiff competition in Canada, where a marketing arrangement allows Nutrien and Mosaic Co. to dominate. Nutrien’s idled production represents 11 per cent of current global operational capacity and will be deployed once prices approach levels that would encourage new mines, he said. Granular potash sells for an average $331 per tonne in Brazil, as of Aug. 17, up 25 per cent year over year, according to Mosaic data (all figures US$). BHP has approved $3.9 billion in spending on the Jansen mine, allowing it to sink mine shafts. That work may last up to two years, and building the first four million-tonne stage of the mine is expected to require a further $4.7 billion that BHP’s board may consider next year. — Reporting for Reuters by Rod Nickel in Winnipeg and Barbara Lewis in London.